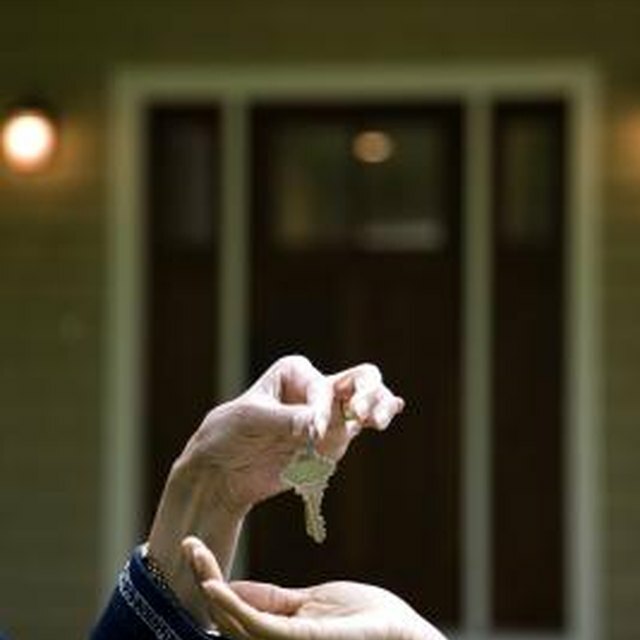 In real estate transactions, a seller risks taking his home off the market only to be left without a capable buyer. A deposit helps mitigate the chances of a buyer walking away on short sale -- a deal in which the seller must gain permission from his mortgage lender to sell. On a cash deal, your deposit goes toward the purchase price at closing, but you may be entitled to a full refund if the short sale transaction falls through. Also known as a good faith deposit, the initial deposit you make when entering a short sale agreement shows the seller you earnestly intend to buy his home. In the event you cancel the contract before the seller obtains his lender's approval, the seller may require you to forfeit all or a portion of your deposit if he can prove you acted in bad faith from the beginning. Such is difficult to prove in short sale deals, specifically, because they can drag on for several months. Also, hurdles often arise during the approval process which legitimately drive well-intentioned buyers away. A cash-based short sale involves no financing and, therefore, no down payment. As such, the deposit goes toward completing the purchase price plus any closing costs incurred. It is subtracted from the total balance due at closing. When a short sale gains lender approval and the deal closes, you may not receive your deposit back unless it exceeds the balance due. This is unlikely since deposits are typically only 1 percent to 2 percent of the sale price. For example, the lender accepted your cash offer of $200,000. You initially deposited $2,000 into escrow as a measure of good faith. You owe at least $198,000 at closing, plus any attorney, escrow and title insurance fees -- or closing costs. In the event that you fail to meet your contract obligations, which typically begin once the seller gains short sale approval, you may lose your deposit. Cash offers -- unlike financed offers -- carry no loan contingency or clause in the contract. They also often forgo an appraisal requirement. You may still include clauses which allow you to inspect and research the home to ensure its condition and title are acceptable. Should you fail to complete your investigations or obtain the cash to close within the agreed-upon time frames, the seller may cancel your contract and retain all or a portion of your deposit as damages. You receive your deposit back by meeting all of your contract responsibilities. To protect your deposit in a cash-based short sale, you may include a clause that stipulates your purchase is contingent upon obtaining the cash funds if you don't already have them. For example, let the seller know if you are relying on the sale of another property to get the money to buy his home. Most residential real estate contracts give you the option of making your purchase contingent upon the sale of another house. Such agreements usually involve concurrent closings or closings within just a few days of one another.